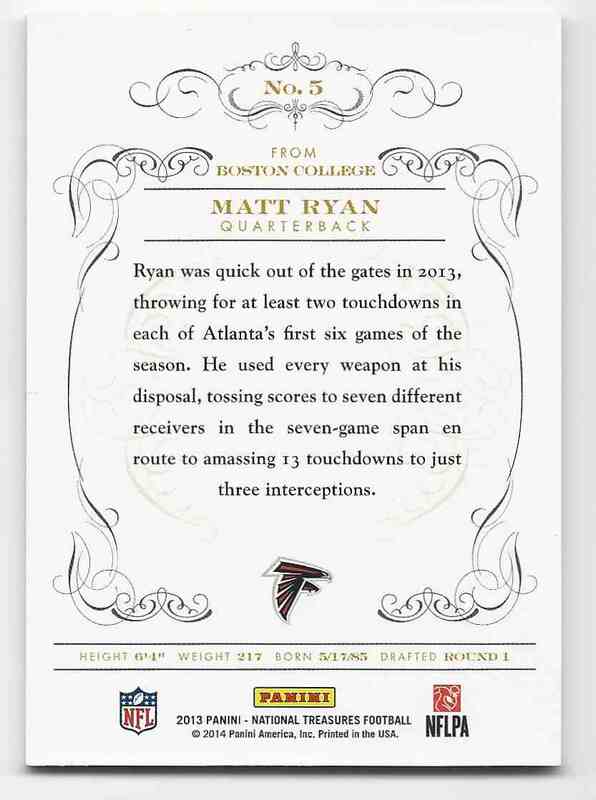 This is a Football trading card of Matt Ryan, Atlanta Falcons. 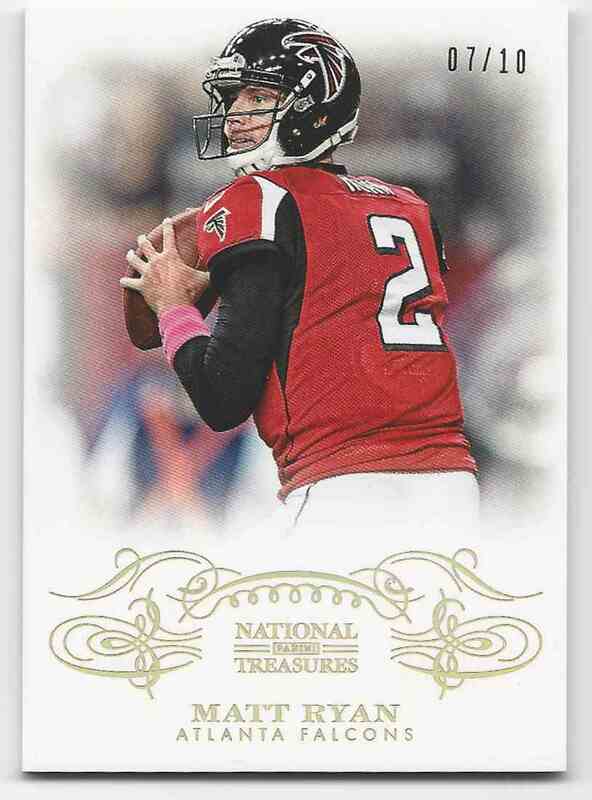 It comes from the 2013 Panini National Treasures Century Gold set, card number 5, serial numbered 07/10. It is for sale at a price of $ 19.89.